Stefanie Stanley, Business Manager and Senior Scientist, front right. 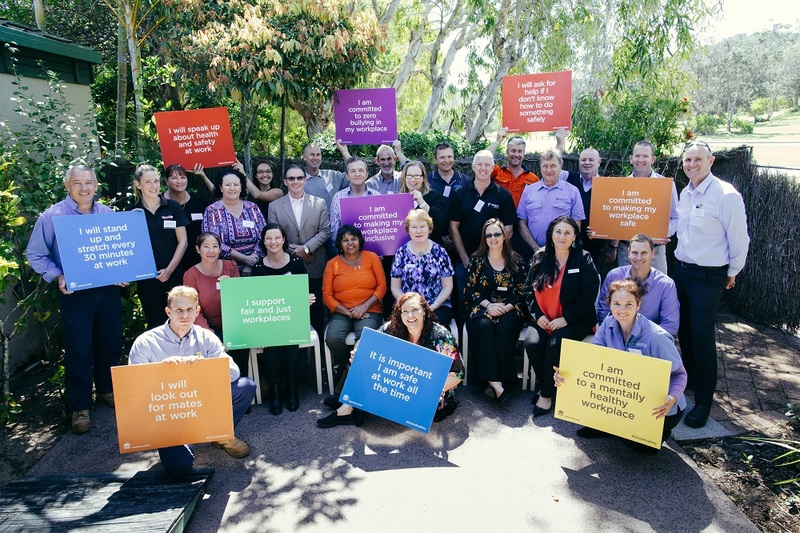 Following on from the SafeWork NSW State Awards, Ecoteam had the opportunity to ‘give back’ this year as part of the SafeWork NSW Mentoring Program. Stefanie Stanley, Senior Scientist and Business Manager, took on the role of Mentor to a local freight company, visiting their workplace and providing guidance on risk assessment, risk management and all things safety – from signage to Return to Work policies. ‘It was a real pleasure working with another local business to assist them with their workplace safety. They were already doing a lot, and just needed to consult more with their staff and pull together their documentation. By the end of the program there was a complete 180. It was very much lead by the mentee – I just provided pointers to information and helped clarify WHS obligations. To register for the SafeWork NSW Mentoring Program (as either a Mentor or Mentee) visit the SafeWork website and fill out the application form. All mentees are eligible for the $500 safety rebate! Have a safe and happy holiday everyone!! From all the staff at Ecoteam.